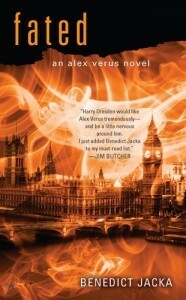 Alex Verus is a diviner–a mage who can see the future possibilities. He runs a magic shop to pay the bills, and does everything he can to stay under the Council’s radar. Unfortunately for him, a discovery of a Precursor relic–and the fact that every other diviner in the area has skipped town–means Alex is about to gain the attention of the Council–attention he knows full well will do him no good at all. I quite like the idea of diviners and what they can do–and the personality traits of most diviners. If there’s one thing all diviners share, it’s curiosity. We really can’t help it; it’s just part of who we are. If you dug out a tunnel somewhere in the wilderness a thousand miles from anywhere and hung a sign on it saying, Warning, this leads to the Temple of Horrendous Doom. Do not enter, ever. No, not even then, you’d get back from lunch to find a diviner already inside and two more about to go in. Come to think about it, that might explain why there are so few of us. I think this might be the first fantasy book that has ever focused on diviners and what they can do, which is one of the things that kept me interested in the story. I had no idea what Alex could do, and I was very curious to learn. There were a couple nods to SFF–at least one that I was certain of, a name check of a wizard in Chicago who advertises in the phone book. And then there was the name of the big bad, Morden. 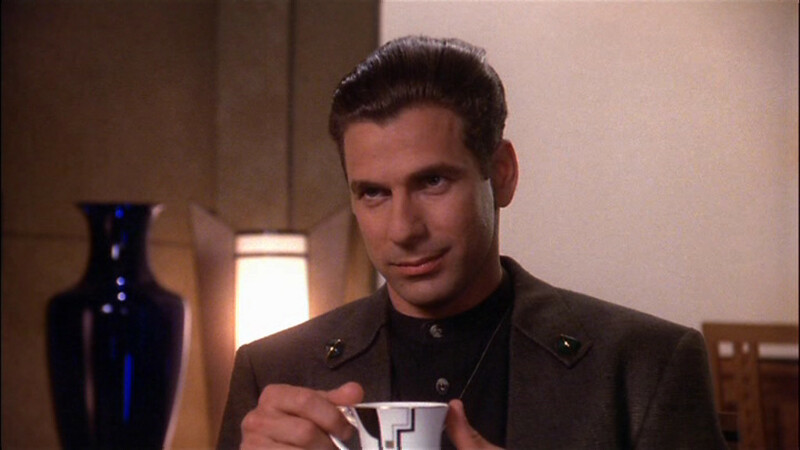 I really really hope that was supposed to be referencing Mr Morden from Babylon 5. Because that would be AWESOME. And the description of Morden could be of Mr Morden. “I’d gotten only a short look at Morden last night. His hair and eyebrows were jet black and he had the smooth good looks of someone who’d taken the time to develop them. Physically he could have been thirty.” Like I said, that amuses me. There are Dark and Light mages, and there is a bit of discussion about the difference between the two, which reminded me quite a bit of Night Watch. (B)eing a Dark mage doesn’t mean being destructive or vicious. We don’t believe in evil for its own sake, or any of the silly propaganda that others spread. We simply recognise the truth— that all definitions of good and evil ultimately come down to points of view. So, it was a fun read. Nothing great, but interesting and a pleasant distraction. 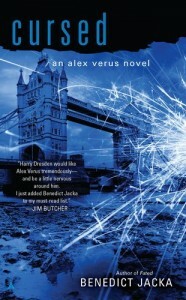 This is the second Alex Verus novel, and finds Alex once again working with members of the council. The outer wall was topped with ragged coils of razor wire. The wire was rusted and full of holes that hadn’t been repaired in years, as if the owners had decided that they couldn’t keep the burglars out but might at least be able to give them tetanus on the way in. Alex is rarely invited by the Council to go to nice places. I have to note that I really like that description. 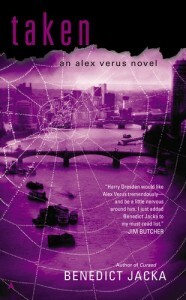 One of the things I like about this book is Alex’s magic: how it works and how he uses it. Looking through the futures I saw my possible actions, and their consequences. I saw myself stepping on the loose piece of scrap metal in front of me, saw myself tripping and falling, and corrected my movements to avoid it. As I did, the future in which I fell thinned to nothingness, never to exist, and the futures of me stepping around it brightened in its place. By seeing the future, I decided; as I decided, the future changed, and new futures replaced those never to happen. That is a very good description that clearly explains a very complicated magical power. Deep down, in the corners of their minds, the reason people don’t go into dark forests at night isn’t because they’re afraid there might be people. It’s because they’re afraid there might be things. I actually find it fascinating to see something I find rather commonplace to be described as disturbing. I’ll take the dark forest over a dark city any time. Something that may come as a surprise to those who know me is that one of the people I like best in this series is Arachne, the giant, sentient, spider. I think she’s rather marvelous, and hope that she really is the original Arachne. Odds are you’ve never tried to give a giant spider a medical checkup. In case you’re wondering, it’s really hard. It’s not like you can take their pulse, and dealing with the fact that they have their skeleton on the outside of their bodies is weird enough on its own. Why does she not bother me? I think it’s because she couldn’t be unknowingly crawling on my body. That’s what really freaks me out about spiders and centipedes–imagining feeling their legs crawling across my skin. But a giant spider? No big deal. This is the second book where I’ve come across the name Garrick, the first being Sergei Lukyanenko‘s Night Watch series, so I decided to look up the name: Garrick is an Old English name that means “one who governs with a spear” or “spear king”. The name is a little too spot on for the character in this book, but I didn’t know that when I was reading. That’s not to say the book was perfect–it wasn’t. But the story moved quickly and kept me engrossed which is, many times, all I really want of a book. After a terrible apprenticeship, Alex Verus hasn’t wanted much to do with other mages, and the Light Council in particular. But he’s starting to get a reputation, and it’s a reputation of someone whose enemies tend to end up missing or dead. None of this is really Alex’s fault, but it means that more and more mages are coming to him for assistance or projects that no one else seems to want. You know, the dangerous ones. Currently, he’s been asked to look into the problem of disappearing apprentices, and considering his past, it’s something he’d probably do without being asked. In this story we get a glance at how light apprentices are trained, but not really enough to really understand it. Which, I suppose makes sense, since we primarily spend our time with Alex and not Luna (the apprentice). I’m really coming to like Talisid, and I really hope that he’s truly one of the good guys (as opposed to the typical member of the Light Council). One of the things I like is how Light and Dark really aren’t that different, but even more how Alex, in attempting to do go, frequently has to come to terms with actions that aren’t particularly good or nice. But more importantly, Alex doesn’t take these actions without consideration–both before and after. I will say that I was CERTAIN something was going to happen by the end of the book, and was irritated when it didn’t. But there were good reasons given for things going they way they did, and it did make sense the way it was explained. There’s a bit at the beginning you’ll want to look out for: the explanation as to why vampires don’t exist. I thought it was well considered and a very good answer as to how some magical creatures exist and others don’t. I’m really enjoying this series, and can definitely recommend it. Oh, one thing I hadn’t mentioned before is how much I really like these covers. They’re minimalist, but they’re also atmospheric, and–to me–gorgeous. Kudos to Ace for a fabulous series of covers.